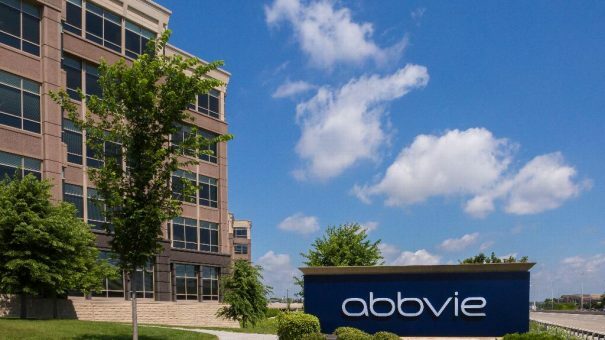 AbbVie’s shares slipped ahead of the weekend when its fourth-quarter revenues missed forecasts, after biosimilar competition – particularly in Europe – weakened cash cow product Humira. Revenues from the immunology blockbuster grew 1% to $4.9 billion in the quarter year-on-year but were down from more than $5.1 billion in the prior three-month period. US sales of Humira (adalimumab) were actually up around 9%, but international sales fell almost 15% – or a little under $300 million – due to “direct biosimilar competition in Europe and other international markets,” said AbbVie’s chief executive Rick Gonzalez. The company is expecting the biosimilar hit on Humira’s international sales for the full year could be around $2 billion. “The event that has for many years concerned investors most has been the loss of exclusivity for Humira,” said Gonzalez on the call. “We have long been planning and preparing for the event that is now upon us,” he added, while conceding that competition – particularly on price – has been “more aggressive” for Humira compared to other biologics in the TNF inhibitor class. “Despite the more aggressive discounting, our strategy is working as we had intended,” stressed Gonzalez, as he predicted “industry-leading” revenue growth and earnings this year that were considered by some analysts to be disappointing. The signs of weakness in Humira are also sparking speculation that AbbVie may look to add near-term growth via a major acquisition, with BioMarin and Alexion both cited as possible targets in recent months. Gonzalez ruled out a mega-merger magnitude deal, negating rumours of a possible hostile bid for Bristol-Myers Squibb prior to its Celgene buyout, but implied bolt-on deals could be considered. AbbVie’s over-reliance on Humira and the threat of biosimilars isn’t news, and the company still has a few years of biosimilar-free market in the US, where the patents on Humira are not expected to expire until 2023 unless the company loses patent litigation. Nevertheless, AbbVie has been trying hard to diversify revenues, both from new immunology drugs such as risankizumab and upadacitinib which are due to launch this year, and by growing established products in other therapeutic categories, such as Imbruvica (ibrutinib) and Venclexta (venetoclax) for blood cancers. Interleukin-23 inhibitor risankizumab, in late-stage development for moderate-to-severe plaque psoriasis, is being tipped as a potential $2.5 billion product after beating Johnson & Johnson’s rival IL-23 drug Tremfya (guselkumab) in a head-to-head trial, despite increasing competition in the market for biologic anti-inflammatories. Meanwhile, oral JAK1 selective inhibitor upadacitinib – in trials for rheumatoid arthritis and other inflammatory diseases – has been submitted for approval on the strength of trial data showing it was more effective at treating rheumatoid arthritis (RA) than Humira. Some analysts predict sales could eventually reach $3 billion a year or more. Imbruvica and Venclexta are already on the market through partnerships with J&J and Roche respectively and also played their part. Imbruvica added $1 billion to AbbVie’s coffers in the fourth quarter, up a healthy 42%, while Venclexta more than doubled to $124 million. Meanwhile, hepatitis C virus (HCV) therapy Mavyret (glecaprevir plus pibrentasvir) quietly grew to a $3.4 billion brand last year, despite the saturation in the market weighing on earlier launches such as Gilead’s Harvoni (sofosbuvir and ledipasvir). Not all of AbbVie’s pipeline-boosting attempts have hit the mark. Rovalpituzumab tesirine, or Rova-T, has been delayed by disappointing results in small cell lung cancer, while an attempt to expand the uses of Imbruvica in diffuse large B-cell lymphoma also ended in failure. “Although our work is never done, we have made tremendous progress, building what we believe is one of the industry’s most attractive pipelines,” he added.